The DNS (Domain Name System) is one of the most complicated to understand systems, that lies in the foundation of the Internet and exists before the Web appeared. DNS is a naming system where records for matching domain name to IP address are stored. When a domain name is registered the DNS details for it are entered into the DNS Index. The DNS details then are publicly accessible for everyone who wants to know the IP address of a certain domain. But not everyone can perform a DNS lookup in the DNS Index. Special applications called DNS resolvers are used for the purpose as they can read the DNS protocol and translate domain names into IP addresses. Nowadays we normally associate the term "domain” with a "website", but domain names are also used by many other services on the Internet such as email, FTP and more. Almost everyone who owns a registered domain has faced the term DNS or the need to point a domain, change its DNS records, set name servers, await the propagation time for the DNS data, change the hosts file and others. 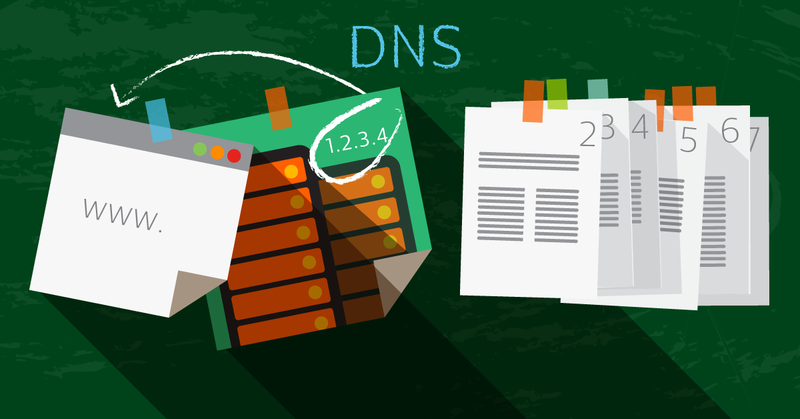 With the articles of the „What is a DNS?“ series we will try to shed some light on basic DNS concepts as well as to give answers of questions such as: Why and how a domain is "pointed?, What is the difference between DNS servers and DNS records?, Why there is a propagation time for the DNS data? and others. In the first article of the series we will get to know that the IP address is required for each application (the web browser) so that it can connect with another application (the web server) and the DNS server as an index where the record „domain.name=IP address“ is stored. This important record is stored on a name server on the web and only the DNS resolver can find it (by performing a lookup in the DNS Index). Domains are a combination of words separated by dots (periods). Each word, separated with a dot represents a level (area, domain) in the DNS hierarchy. The domain levels are defined backwards and the (.) symbol plays a role of delimiter for the different levels. For example, the levels in superhosting.bg look like this: 1 top-level domain: bg; 2second-level domain: superhosting. When the DNS resolver is performing a lookup of the domain's IP address it should go through the top-level – 1 bg, because it contains information on where the next level is located 2 superhosting and there the resolver can find the DNS record „superhosting.bg=IP address“. The idea that a domain consists of separate domains / levels is one of the most difficult to comprehend DNS feature. The DNS resolver is an application especially developed to perform DNS lookups in the Index. After the DNS resolver receives a query it initiates a DNS lookup as it sends a request to one of the root DNS servers. The resolver will find out where the authoritative name servers for the top-level domain .bg are located. From the .bg domain level it will get to know which are the authoritative servers for the next level – superhosting.bg, where the necessary record „superhosting.bg=IP address“ is stored. Each DNS record has the so-called TTL (Time to Live) which is set up in seconds. The DNS cache server knows that the record is considered up-to-date during this time. After the time is over there will be a DNS lookup for the record and the DNS cache will get a new copy of the record. In other words, when a DNS record is stored in the DNS cache it will stay there for the set up TTL. This page will be updated when each new article of the "What is a DNS?" series is published. Add it to your browser's bookmarks so that you can have quick access to an easy DNS guide.